Tokkotai – The Karate Centre (formerly known as Tokkotai Karate Club) was formed in 1978 by Sensei Damien McLaughlin 8th Dan and started out at the Old Boy’s Club just off Huddersfield Road opposite St. Paul’s School in Stalybridge. In 1979 the club moved to The Copley Centre (originally called Copley Sports Centre) when it was first opened. 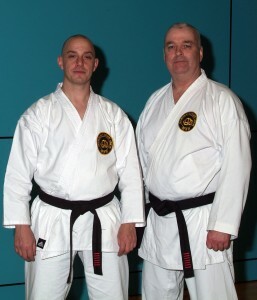 In 1995, Sensei McLaughlin retired from teaching and handed Tokkotai over to his most senior student Craig Murphy 7th Dan to run on a full time basis. TKC expanded by opening another club at West Hill Boys School, also in Stalybridge, in August 2004. April 2010, TKC opened another club up in Dukinfield located at Astley Sports College. In March 2011, TKC decided to move its classes from The Copley Centre and West Hill Boys School to the Tameside Martial Arts full time dojo which is located in the centre of Stalybridge behind Stalybridge fire station and next to Stalybridge railway station. TKC is one of the oldest established Karate clubs in Tameside and the oldest and the first Karate club in the Stalybridge area. The Karate Centre has produced many champions at both local, national and european levels in competition. The name ‘Tokkotai’ means ‘Special or Secret Attack’.